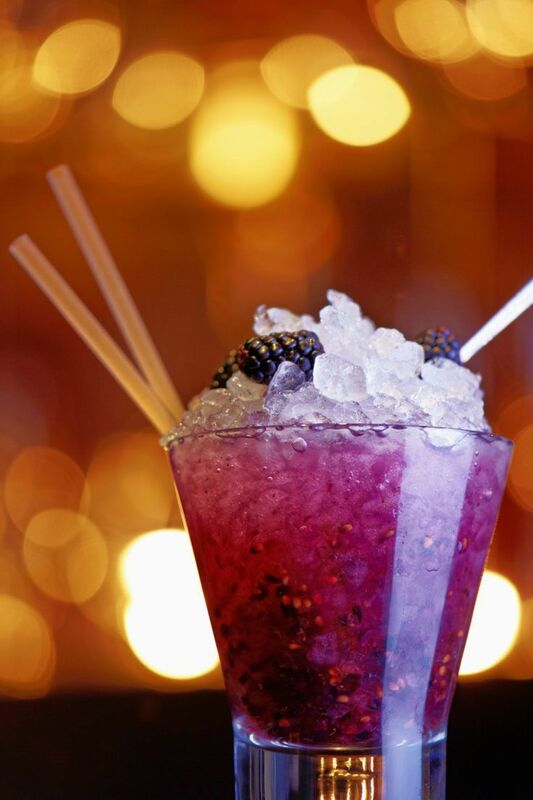 The Blackberry Blue Nectar Bramble is a twist on the traditional Blackberry Bramble. Instead of gin, this version uses Blue Nectar’s Reposado tequila, which has a smooth oak character that’s wonderful all on its own. Unless you’ve got something against blackberry, this is a cocktail you’re going to want to try soon. It’s a wonderful option for Cinco de Mayo – something that still tequila-based, but not a Margarita. But don’t wait for a holiday to enjoy this drink. Whether you’re having a night out, or enjoying the poolside or the ski slopes, or just staying at home, this drink is a perfect fit for every occasion. This is a well-balanced cocktail that has plenty of depth with oak and citrus notes to balance out the sweet. The blackberry flavor is definite, but not overwhelming. Because it’s made with real blackberries, it’s not just sweet. Blackberries also have some tartness, and so much natural flavor. 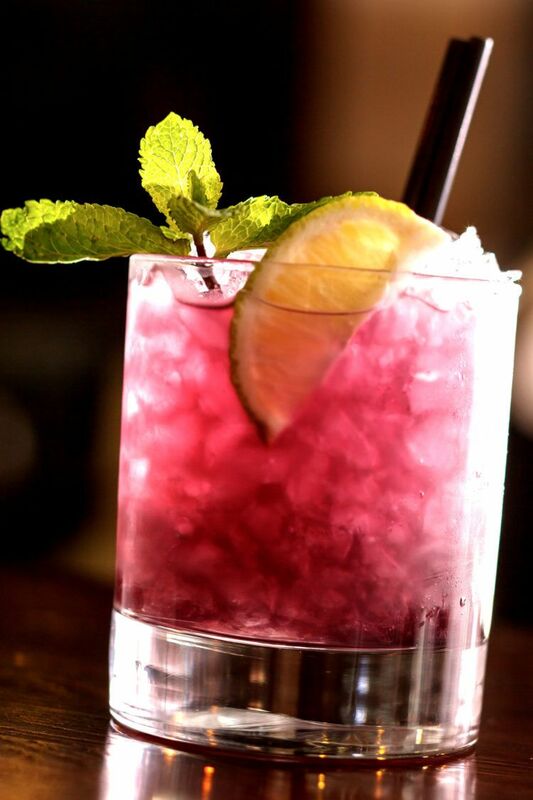 You may never have imagined making a bramble with reposado tequila instead of gin. They have two very different flavor profiles, and they make for a distinctly different drink. Gin has notes of juniper and sometimes floral or citrus. Reposado tequila has a hint of oak with notes like caramel, butter spice. When you replace gin with reposado tequila in this drink recipe, you get a flavor that’s deeper and more mellow. None of those sharp, bright edges you get with gin. 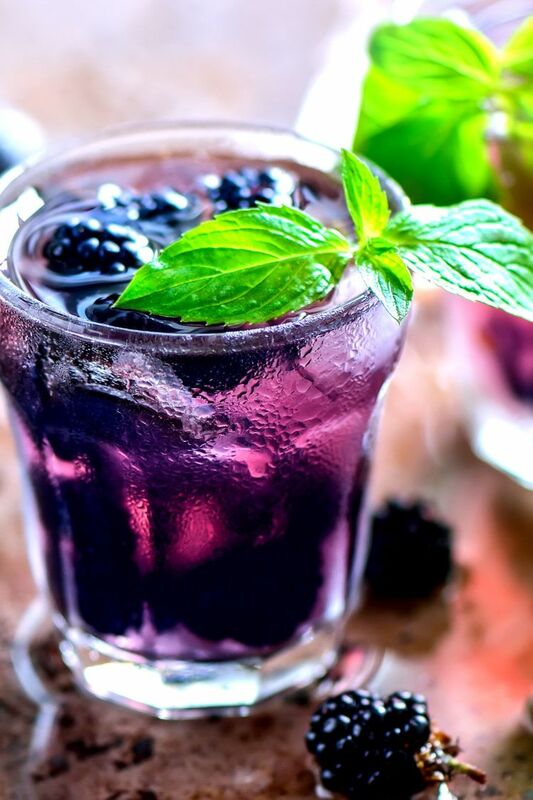 This is a great cocktail to try whether or not you love the traditional blackberry bramble with gin. You might prefer it, or you might just enjoy it now and again for a change. 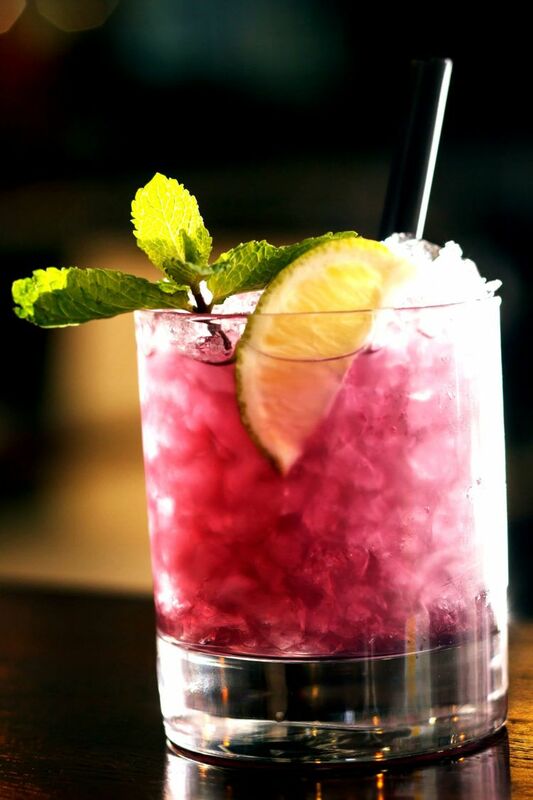 One of the best things about a Blackberry Bramble cocktail is the crushed ice. What? No, seriously. The crushed ice slows down your drinking and forces you to savor each sip through a straw. The crushed ice also makes this a great drink for hot weather. It keeps the drink very cold and doesn’t immediately start melting and watering it down. You can also make it with regular ice, but it changes the drink a little. It lets you drink straight out of the glass instead of through a straw, and that means you’re always drinking from the top, where the ice is watering down the drink. For the blackberry liqueur, you want Crème de Mûre if you can get it. Sadly, it’s not available in every liquor store, but it’s the traditional ingredient for blackberry brambles. The difference between Crème de Mûre and the generic bottle at your liquor store is complexity. You get fruit and floral notes that make it more interesting. The lemon juice in this drink should be fresh-squeezed. That gives it a fresher, sharper taste. Ideally, the simple syrup should be a good brand or a syrup you’ve made at home. But it’s such a small amount that it doesn’t make a huge difference in this recipe. You could definitely enjoy this drink with any kind of blackberry flavored food – muffins, ice cream, or this Wild Blackberry Bread. But I think nothing goes better with blackberry than something smoky, like this Texas Style Oven Brisket from A Spicy Perspective. Of course, another great option is vanilla. Any kind of vanilla dessert or food item you can think of. A vanilla cheesecake is just perfect. 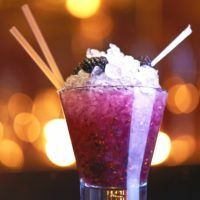 If you enjoy this drink, you might want to try the Blackberry Margarita, which uses blackberry liqueur instead of fresh blackberry puree. There’s also the Mora Picante, which uses roasted jalapeno infused tequila to give it some delicious spice. Put all the ingredients in a blender, except for the blackberries reserved as garnish. Pulse the blender until the blackberries are puréed - you should still be able to see seeds. Fill a rocks glass with crushed ice, past the top rim. Carefully pour the mixture over the ice so it settles into the glass. Garnish with a few blackberries on top. Serve with a straw for sipping through the crushed ice.